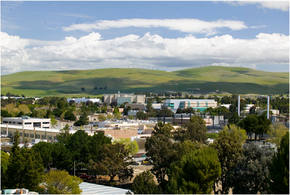 Livermore, California from 18-22 September 2017, organised by the CIG project. 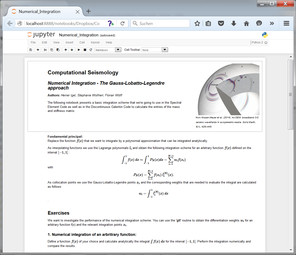 "Computational Seismology: A Practical Introduction" is suggested as reading material and can be purchased at a discount. More info here. 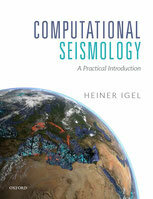 Seismo-live will be presented at the EGU Meeting in Vienna April 24-28, 2017. There is a poster presentation Thursday (X3.69). 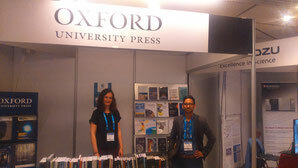 The book is available at the Oxford University Booth (see left). 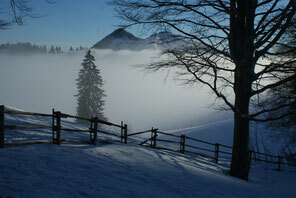 Munich Earth Skience School in the field of Computational Seismology from February 19-24, 2017 in Sudelfeld near Munich. Friday December 2, 2016, 18:00, LMU Munich. For more details see here.